All LANDS OF THE PRESIDENT/BA homes currently listed for sale in West Palm Beach as of 04/21/2019 are shown below. You can change the search criteria at any time by pressing the 'Change Search' button below. 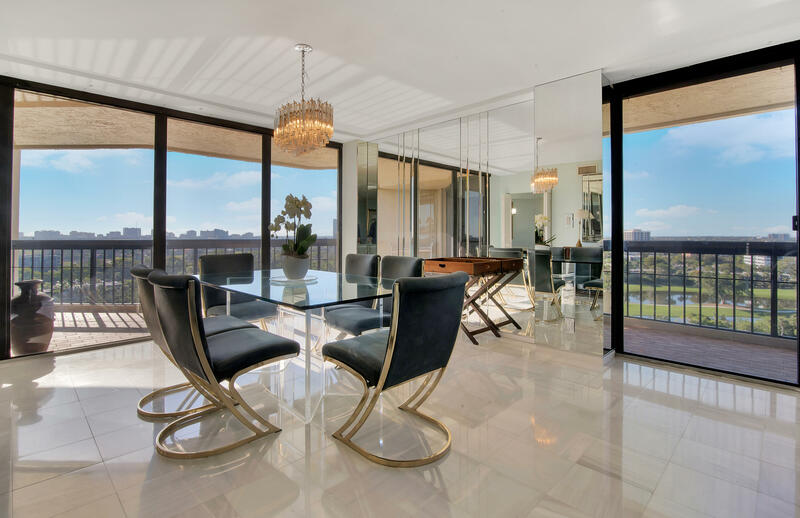 "COME AND MUST SEE TO FALL IN LOVE WITH THIS SPECTACULAR MODERN 3 BR/2.5 BATH CONDO WORTHY OF ARCHITECTURAL DIGEST MAGAZINE IN FIRST CLASS FINANCIALLY STABLE FULL SERVICE BUILDING. 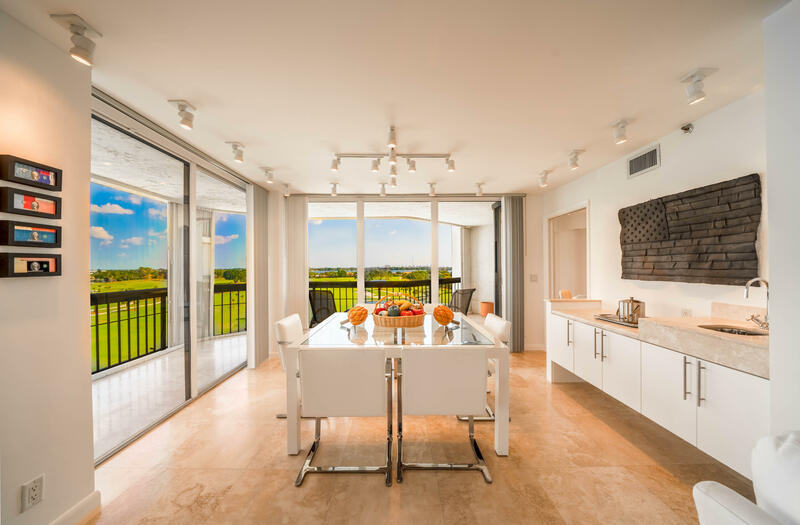 GORGEOUS TUMBLED MARBLE FLOORS THROUGHOUT EVEN ON THE WRAP AROUND TERRACE W/VIEWS ON NEW JACK NICKLAUS SIGNATURE GOLF COURSE OF BANYAN CAY GOLF/HOTEL RESORT. WHITE DESIGN & RED ACCENTS, SMOOTH CEILINGS WITH FABULOUS LIGHTING, TOP OF THE LINE CHEF'S KITCHEN WITH OVERSIZE REFRIGERATOR, POWDER ROOM, MASTER BEDROOM WITH HIS & HER WALK-IN CLOSETS, PLENTY OF STORAGE SPACE. LOCATION IS PRIME, JUST EAST OF I-95, ONLY MIN. 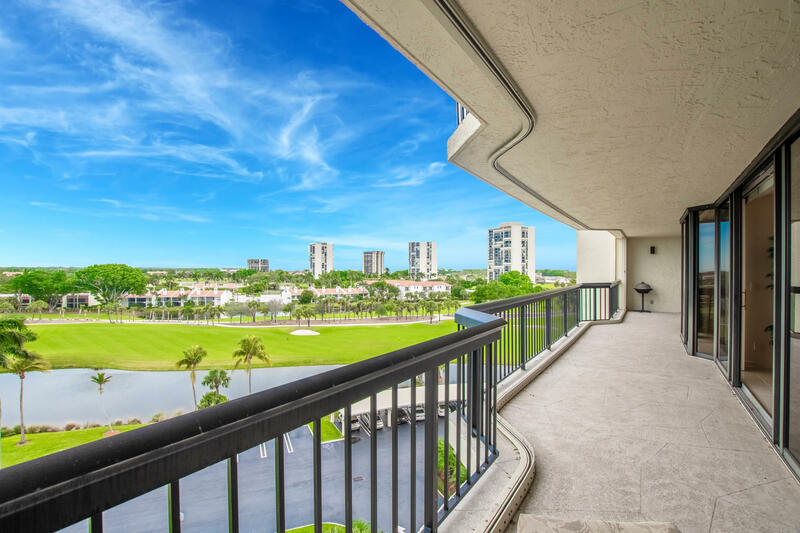 AWAY FROM BEACHES, PALM BEACH ISLAND, KRAVIS CTR, PBI AIRPORT, NORTON MUSEUM, FINE SHOPPING AND DINING WITH PB OUTLET MALL W.WHOLE FOODS, BED BATH & BEYOND, SAKS, NORDSTROM & MUCH MORE ACROSS THE STR"
"Gorgeous totally renovated 3BR/2.5 Bath condo. Spectacular views from all rooms with floor to ceiling windows & access to wrap around terrace. Within 2 1/2 miles to beaches, PBI airport, Downtown WPB Clematis City Place Kravis Ctr & the Convention Center. 3.5 miles to Palm Beach Island with world class beach, restaurants & Shops on Worth Ave. The Consulate is a full service de luxe building with 24 hour manned gate, 24 hr concierge/doorman, on site manager, maintenance crew & every day golf cart valet 5 to 11 PM. Come see the true Florida lifestyles. The Consulate is located on Banyan Cay Golf and Hotel Resort, currently in construction to become the most desired place with a new Golf club & Jack Nicklaus Signature golf course, a de luxe Noble House Hotel & 94 deluxe single family homes"
"FOR THE BUYER THAT LIKES TO ENJOY THE GOLFERS AND SPECTACULAR VIEWS FROM THE WRAPAROUND BALCONY WITH AMAZING SUN RISES AND SUNSETS AND TWINKLING LIGHTS AT NIGHT. BEAUTIFUL DESIGNER BLUE & WHITE DECORATED LARGE AND BRIGHT CONDO. YOU WILL LOVE THE WAY IT FEELS WITH WRAP AROUND TERRACE ACCESSIBLE FROM EVERY ROOM W/ FLOOR TO CEILING SLIDING WINDOW DOORS. BEAUTIFUL CARRARA MARBLE FLOORS. 3RD BR IS OPENED UP TO LR AND IS USED AS DEN. THE WHITE EAT IN KITCHEN IS UPDATED AND HAS AN ADJACENT LAUNDRY ROOM. ENJOY LARGE BEDROOMS WITH ENSUITE BATHROOM (SEPARATE ROMAN TUB AND SHOWER) AND WALKIN CLOSET FOR THE MASTER SUITE. 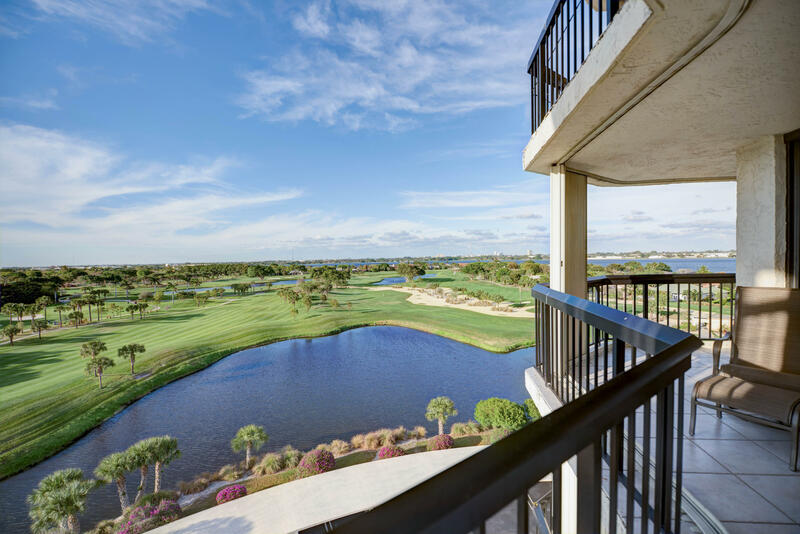 THE LOCATION IS PRIME & CLOSE TO KRAVIS AND ONLY 3.5 MILES FROM BEACHES, PBI AIRPORT, AND ACROSS THE PB OUTLET MALL WITH WHOLE FOODS AND BED BATH & BEYOND, SAKS, NORDSTROM & MORE." "Live in Palm Beaches most hidden blossoming gem. This spacious 3B/3B condo is ready to receive your finishing touch & feels like a private home with serene views of mature trees & the beautiful lake from living area & master bedroom. Outdoor living can be enjoyed with a large north facing balcony as well as a sunny south side balcony off of the second bedroom/office. There is a separate laundry room, extra storage on floor & generous closet space. The Envoy, located in the gated community on Banyan Cay Golf & Hotel resort is a full amenity building with 24 hour concierge, full time manager, exercise and billiard room, library, a social party room, 2 tennis courts & a ''resort-like'' pool area & spa. Minutes to beaches, airport, downtown City Place, PBB Outlet Mall, dining & entertaining"
"You will enjoy entertaining on your 50-foot long balcony while watching golfers on the newly completed Signature Jack Nicklaus golf course on Banyan Cay Golf and Hotel resort.The spacious condo has a large living room and second bedroom is opened up to the LR as a den. The eat in kitchen has been updated. The master bedroom is large and has an ensuite bathroom with separate tub and shower. A big bonus to the condo is that it has a very large walk-in closet across the hall of the condo that can me made into a wineceller or huge pantry. The location is superb in a full service de luxe building just across of the PB Outlet Mall with Whole Foods and Bed Bath & Beyond. 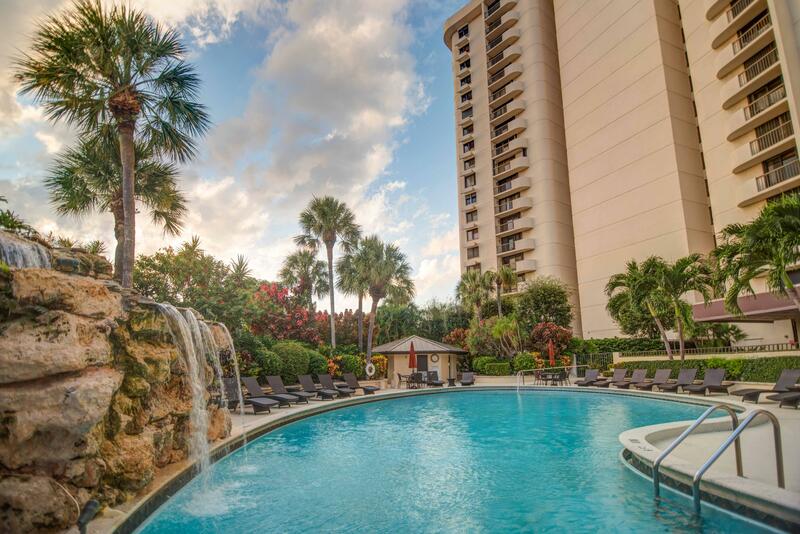 Only minutes from beaches, PB Island, PBI Airport, Kravis center and much more."